It is quite a big campus, therefore, we have three institutes in the same campus and they are functioning well without causing any problem or hindrance in academic activity to any of the institutes. Though it is the main campus of Government Engineering College, they do not have a hostel on the campus, IIT Bhilai and IIM Raipur have the hostel facilities. 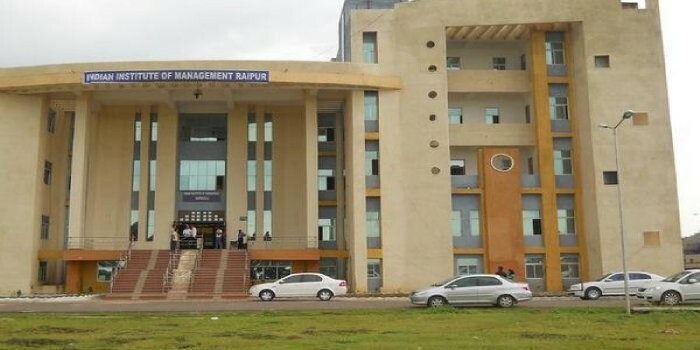 More uniqueness of the campus is that we IIM Raipur have hostel facility in the Academic Building itself, therefore, it is very convenient for us to get up and reach the classroom within a minute. The college is totally student driven and all the activities of the college including corporate relations and placements are handled by the students. The college has a total of 7 committees and 13 clubs which take up each and every activity of the college and help the students to have a memorable and professional stay at college. The seniors are like elder brothers who guide us well and teach us how to manage the time for studies and other activities. The most important thing that I liked about this college is the way subjects are taught in the classrooms where we are given the vision of real-time problems through case studies and the student’s participation is more, they make the class more interactive which helps us to increase our communication skills. Lastly, the college has good sports facilities like football, basketball, cricket, badminton, table tennis which helps us to be healthy and creates a bond among our classmates. Each and every festival is celebrated in the campus which shows the cultural diversity of college, which help the students to be re-energised to move forward with the same courage and hope. The food provided in the campus is tasty and even the menu is planned well for the good health of the students. Janumala Santha is a 1st-year student at IIM Raipur.